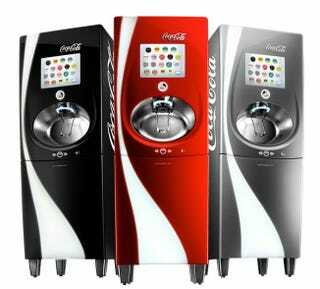 I Love These Damn Pininfarina Coke Freestyle Soda Fountains! I would totally complain about these but everytime I fill up my cup and see that badge I get all fizzy inside! Makes me wish I had Lotus luggage for better handling, or Borla tuned headphones, or Ian Callum designed pens. McLaren needs to make shopping carts!